1870. A time known as The Great Killing. The vampire clans arose and slaughtered humanity with unprecedented carnage in the northern parts of the world. Millions perished; millions were turned into herd animals. The great industrialized civilizations of the world were left in ruin. A remnant fled south to the safety of the ever present heat which was intolerable to vampires. There, blending with the local peoples, they rebuilt their societies founded on human ingenuity, steam and iron. The year now is 2020. The Equatorian Empire, descendant of the British Empire, stretches from Alexandria to Cape Town. Princess Adele, quick witted, combat trained and heir to throne is set to wed the scion of the American Republic, a man she has never met. Their marriage will cement an alliance between the nations and set the stage for war against the vampires in an attempt to retake the north. Prepared to do her duty she finds herself caught in a web of political intrigue and physical danger. 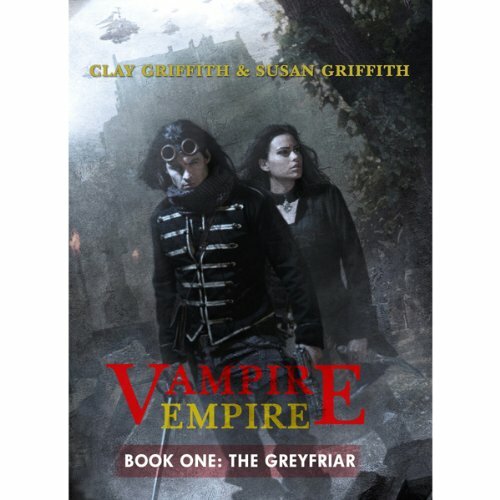 The Greyfriar, a legendary vampire hunter from the north, appears ready to rescue the Princess and return her home—but he harbors secrets of his own. As the power struggle between the vampires and humans increase Adele and The Greyfriar are caught in the middle, on the run, being hunted, and fighting for not just their own lives, but for future of humanity. Set in a postapocalyptic world, this tale of courage, sacrifice, and heroism takes place against the backdrop of an age of steam and rational humanism, where the social elite have rejected religion and spiritualism as nothing more than quaint superstition. 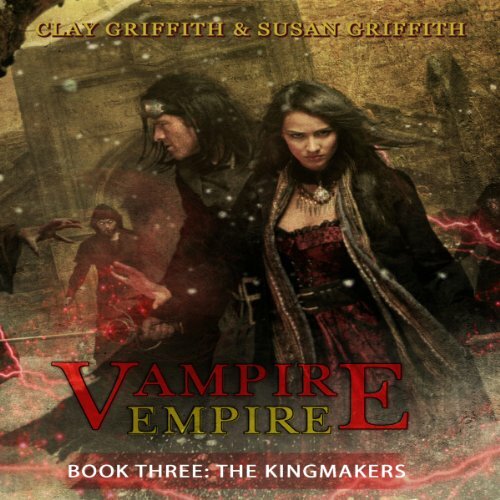 Brutal Vampire Clans rule half the world, keeping human herds for food, and Princess Adele, heir to the throne of Equatoria, is faced with grim choices. War is imminent and her marriage to the odious Senator Clark of America will cement an alliance uniting the Equatorian Empire and the American Republic. Buzzy and Marsters Hit Another Homerun! The epic Vampire Empire trilogy rushes to a heart-wrenching conclusion of honor and love, hatred and vengeance, sacrifice and loss. A war to the death. Empress Adele has launched a grand crusade against the vampire clans of the north. 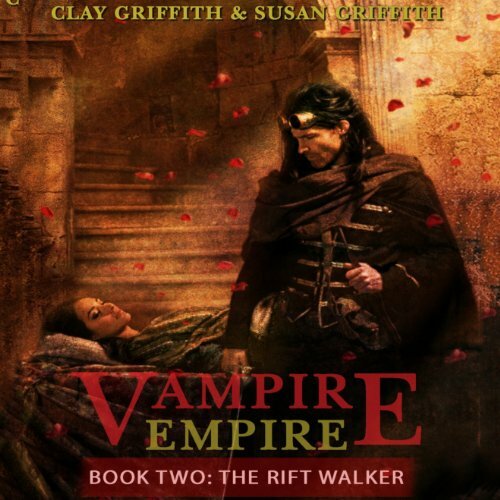 Prince Gareth, the vampire lord of Scotland, serves the Equatorian cause, fighting in the bloody trenches of France in his guise as the dashing Greyfriar. But the human armies are pinned down, battered by harsh weather and merciless attacks from vampire packs.